Equipped with SOFT GRIP HANDLE with rubberized TPU and non-skid base for stability during use. 100% Money-Back Guarantee for your peace of mind. So👍 EASY To Use ! Click the button below 👇 to watch the instructional video! 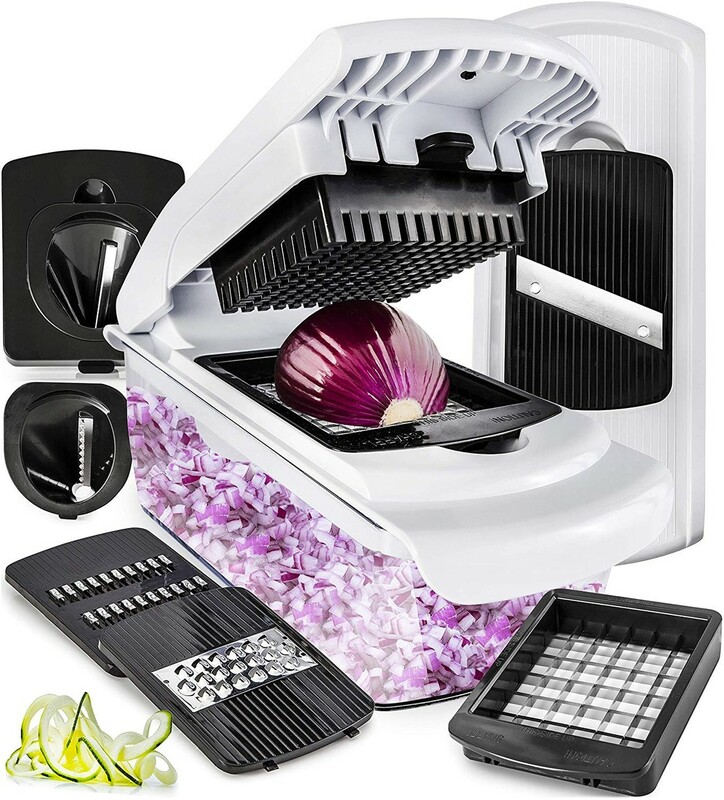 7-IN-1 MANDOLINE Slicer-Spiralizer: medium chopping blade; fine chopping blade; spiralizing julienne blade; ribbon blade; straight slicer blade; coarse grater; julienne slicer blade. All stainless steel blades are razor sharp and non-corrosive. 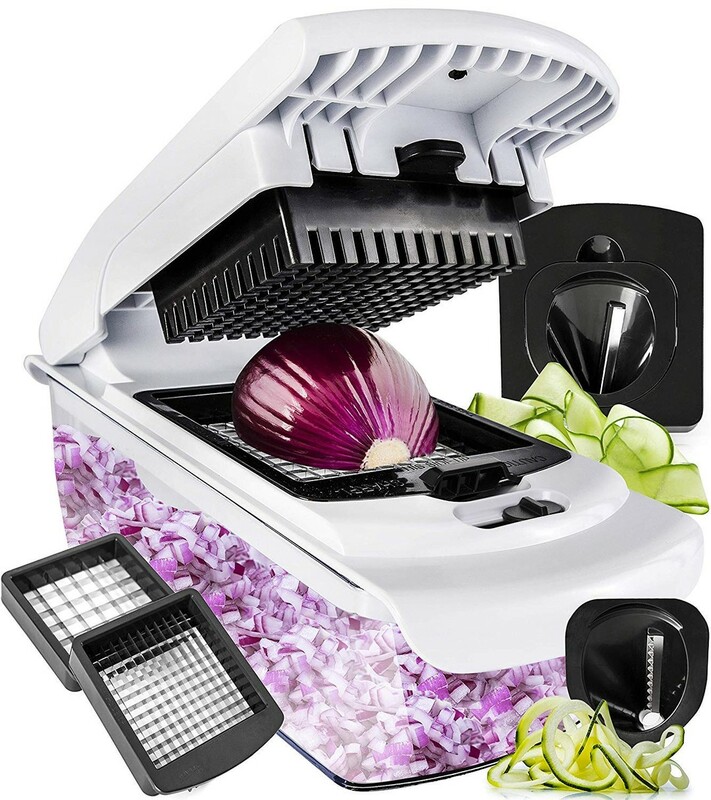 This compact slicer and dicer measures just 10.83"L x 4.65"W x 4.65"H and weighs 2.68 lbs. It can be fully disassembled for easy cleaning on the top shelf of your dishwasher. Blades are rust-resistant and made from heavy-duty 420 stainless steel that retains razor sharpness for crisp, smooth cutting and grating. 2.65L glass storage container, made from Borosilicate Glass, a healthier alternative to plastic container. 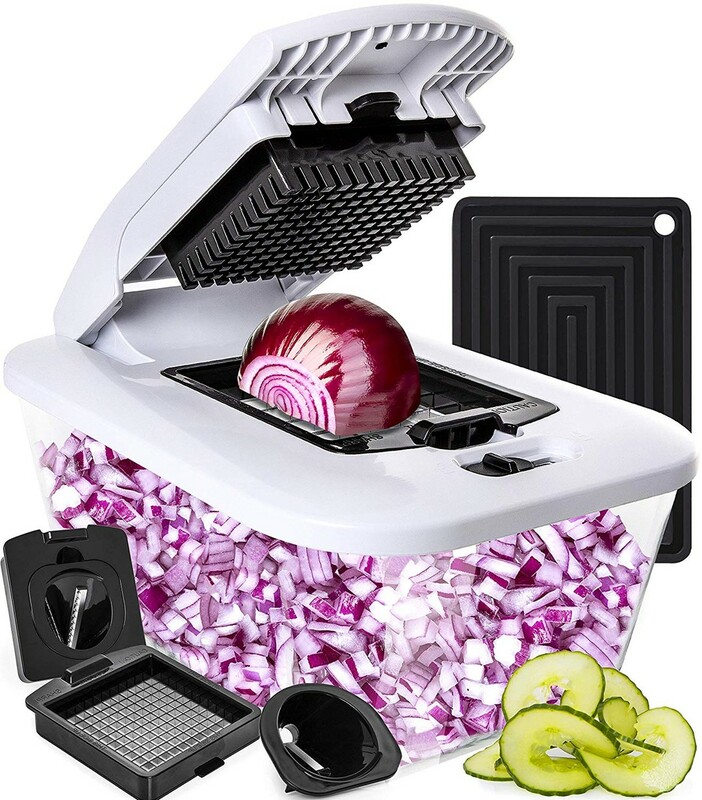 Glass container with lids lets you hold prepared vegetables in the Fullstar Vegetable Cutter until you are ready to begin cooking. 2.65L GLASS STORAGE CONTAINER, made from Borosilicate Glass - a healthier alternative to plastic container. Glass container works great for cooking in oven. It is microwave & freezer-safe. 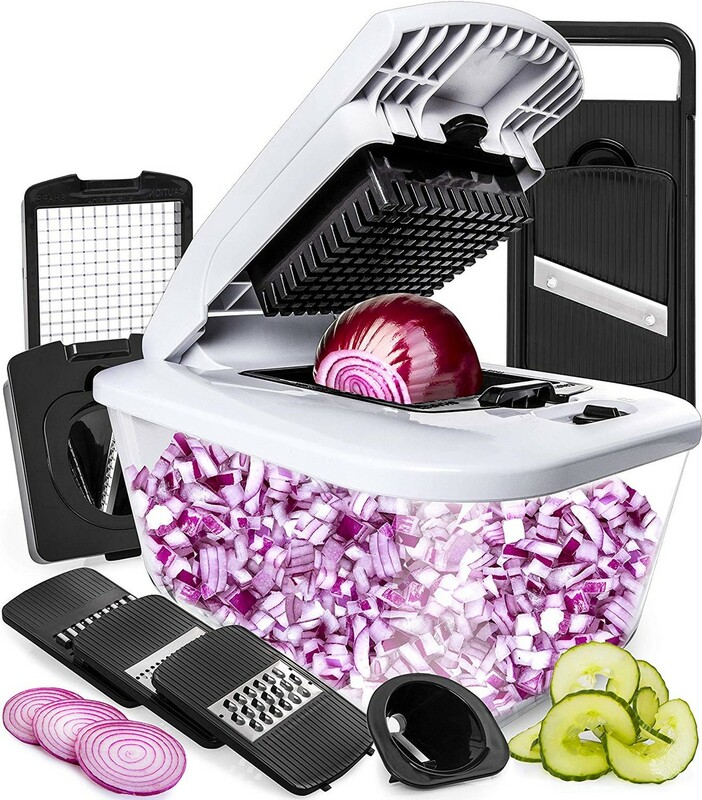 This compact slicer- dicer measures just 9.45"L x 7.13"W x 5.87"H . It can be fully disassembled for easy cleaning on the top shelf of your dishwasher.